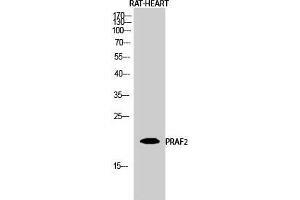 Western Blot (WB) analysis of Rat Heart cells using PRAF2 Polyclonal Antibody. 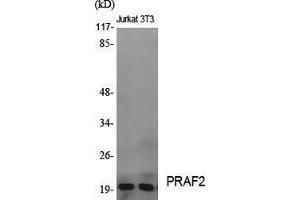 Specificity PRAF2 Polyclonal Antibody detects endogenous levels of PRAF2 protein. 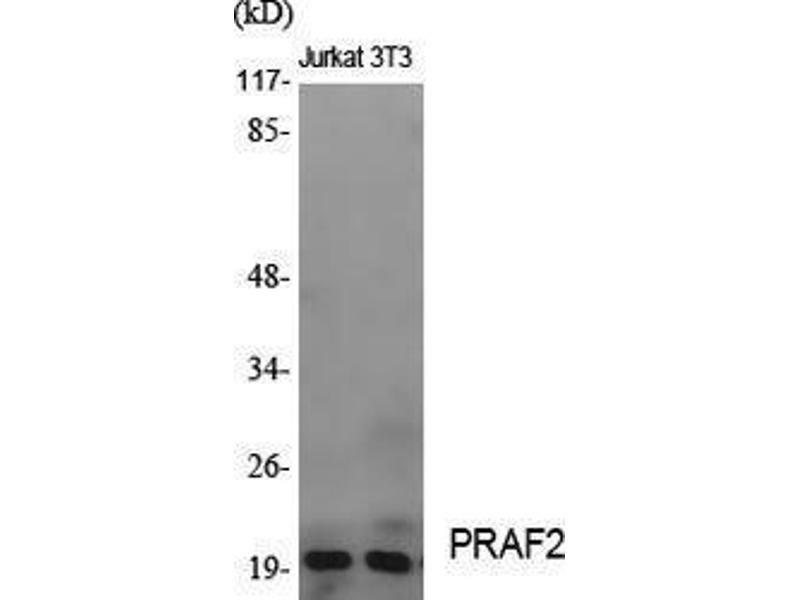 Characteristics Rabbit Polyclonal to PRAF2. 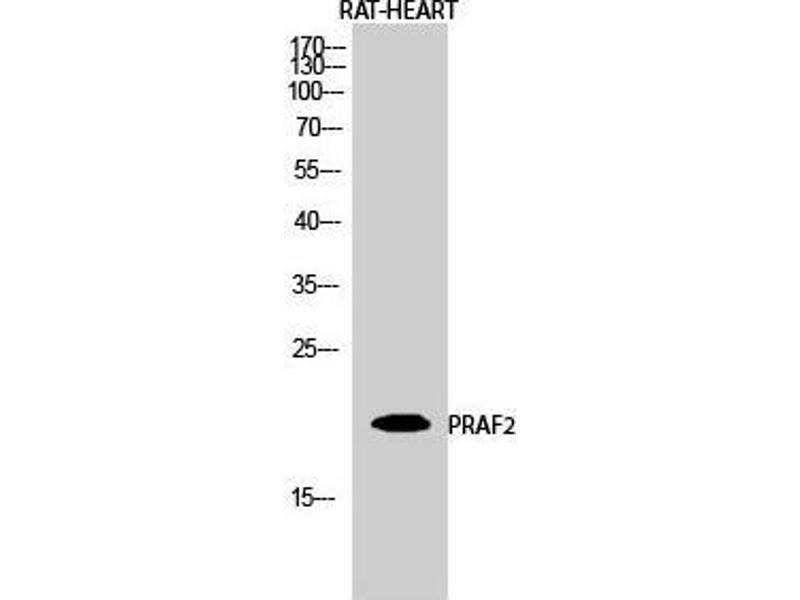 Immunogen Synthesized peptide derived from the C-terminal region of human PRAF2.